A pedestrian in San Jose on Tuesday suffered life-threatening injuries after being struck by a driver in what officers are calling a hit-and-run crash, according to police. 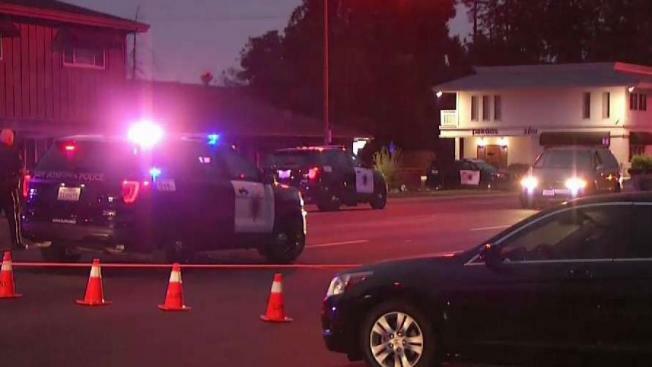 A male pedestrian in San Jose on Tuesday suffered life-threatening injuries after being struck by a driver in what officers are calling a hit-and-run crash, according to police. The collision happened around 5:10 a.m. in the area of Moorpark Avenue between South Clover Avenue and South Monroe Street, according to police. The suspect fled the scene and has yet to be found, according to police. Moorpark Avenue between South Clover Avenue and South Monroe Street is expected to be closed for several hours.